Can you believe it! Spring is just around the corner. I bet many of you are thinking, it's time to come out of hibernation from the wet winter months and start thinking about exercising. What better way to exercise but with your best canine friend. That's the amazing thing about dogs, they love to do whatever you like to do. Research tells us exercise is a stress tamer-ditto for hanging out with your pooch. 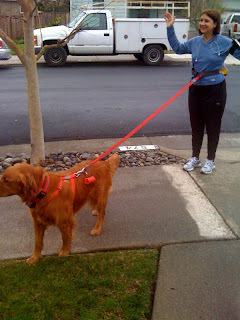 I can list several great things about running with your dog. He or she offers you companionship, encouragement, protection and a smile. You always want to make sure your dog stays right by your side whether you head off to the hills or down city streets. I went to http://www.barleyslist.org/ to find a place to buy a great harness and leash for my dog. The harness securely fits around him and then I attach his leash to a metal ring at the top of the harness. I then attached the leash to my pack that holds my water bottle. As we run down the street, we sure turn heads. People waive, smile and laugh. I am always amazed how smart animals are. It's almost like a Pavlovian response. When my dog hears me in the garage putting on my running shoes, he comes right to the back door and starts winning. He knows it's time to go for a run. I recently went back to http://www.barleyslist.org/ to see if there were any other types of activities that allowed you to participate with your canine. Low and behold I found Thank Dog! Boot camp in Los Angeles. 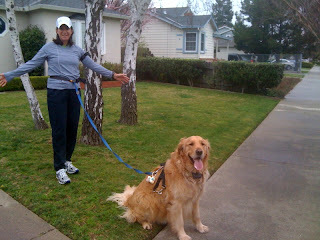 I encourage all of you to get fit and why not do it with the one you love -your dog. See you next time. Pet Friendly Businesses- To edit and/or update your information follow the link to that page: http://www.barleyslist.org/ and Select Add/ Edit your business.